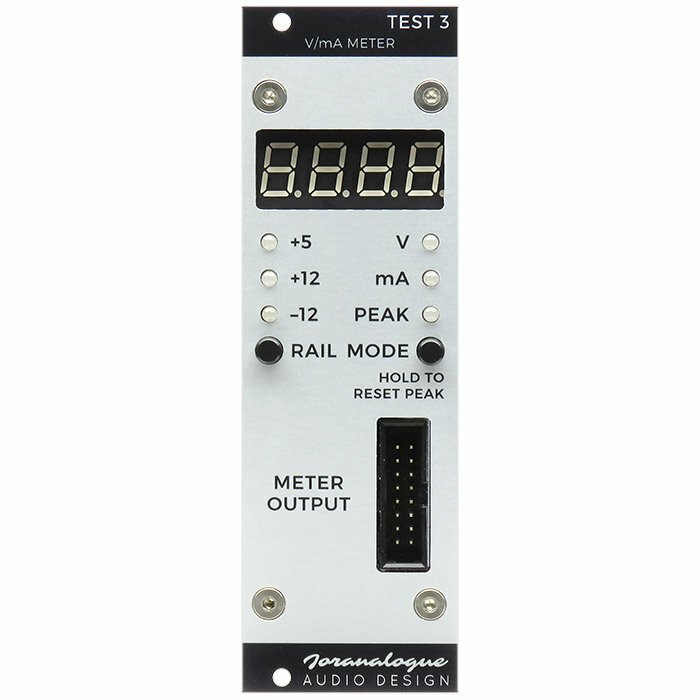 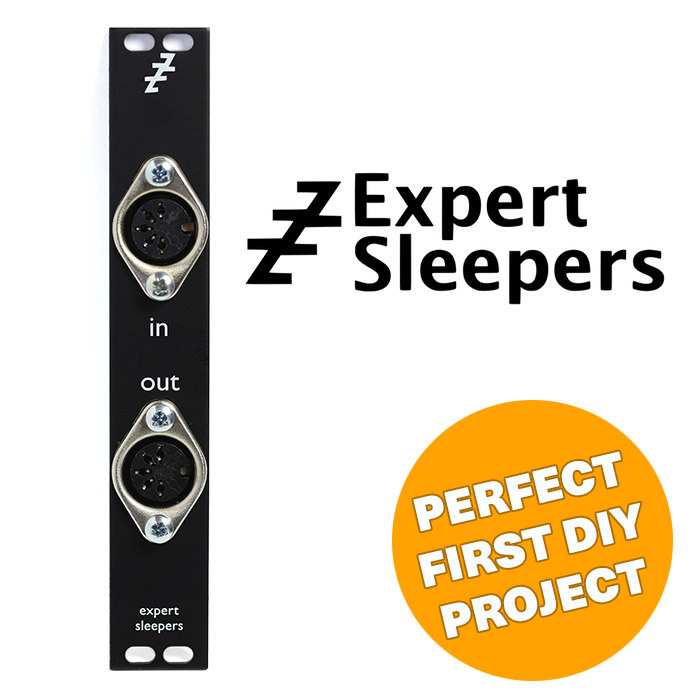 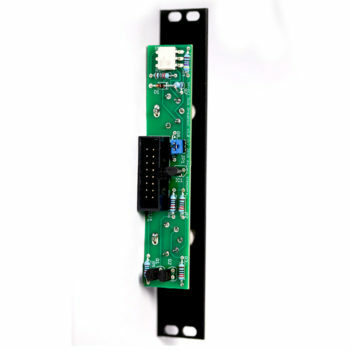 The Select Bus Breakout provides access to the MIDI-based Select Bus protocol as used by some Expert Sleepers modules including the Disting MK4 and General CV. 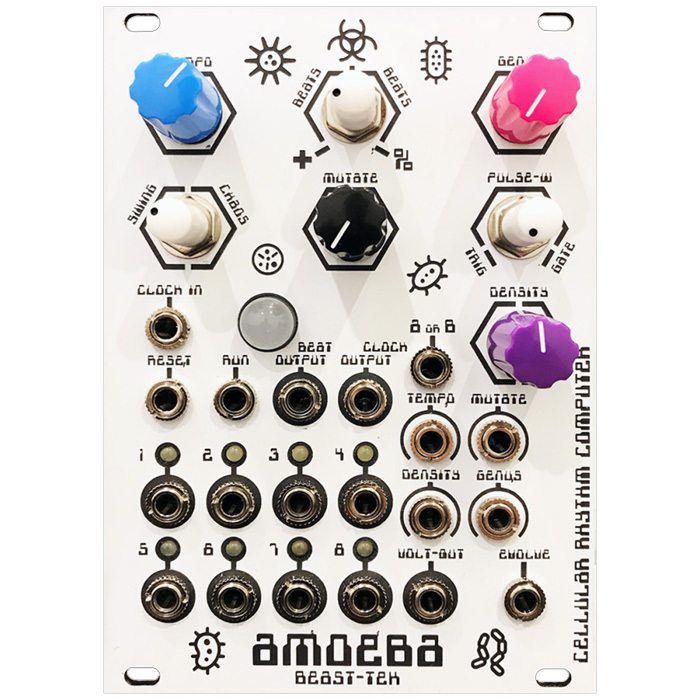 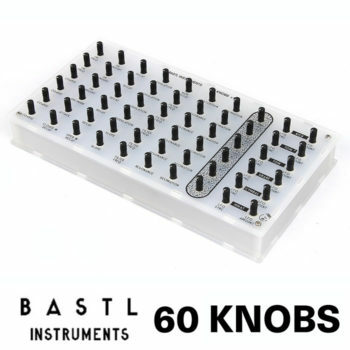 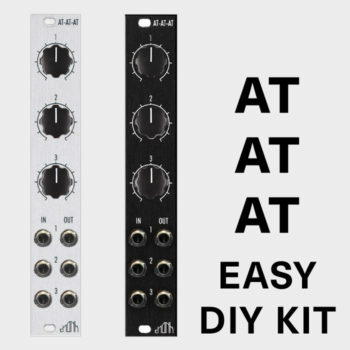 Select Bus is also used by a handful of modules from various manufacturers, including the Malekko Varigate 8+, Macro Machines Storage Strip and the Make Noise Tempi and Rene MK2. 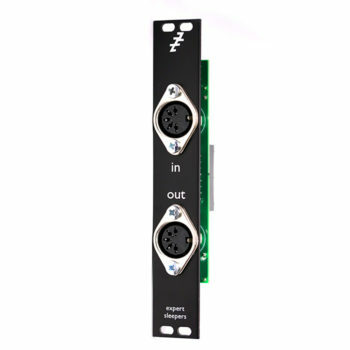 Using the breakout you can cause multiple modules to simultaneously save or recall presets, remotely controlled via MIDI. 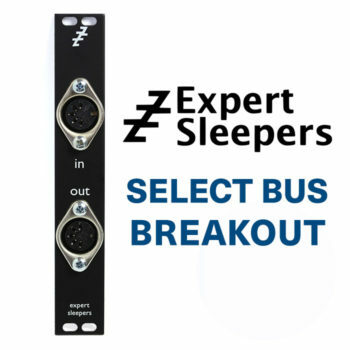 The breakout can be used either to drive the Select Bus, or to output the bus messages as MIDI. 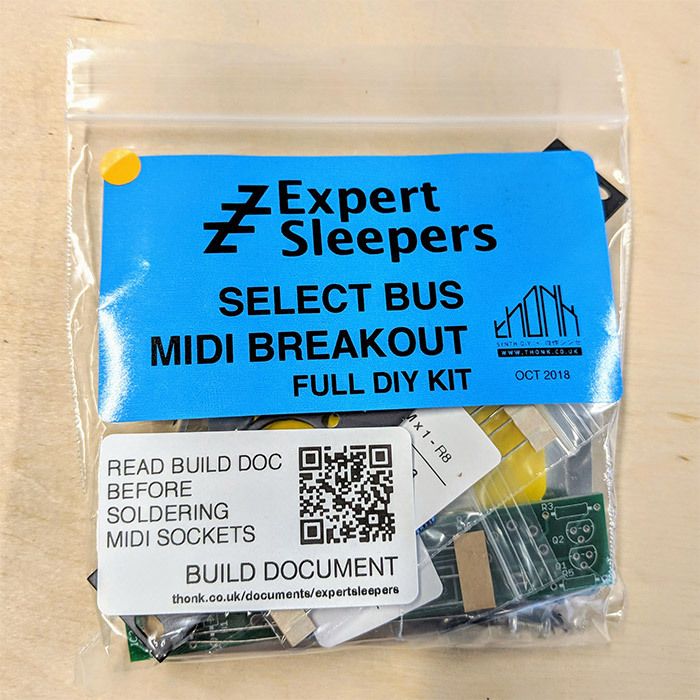 The Select Bus is not a ‘multi-master’ specification, so if another module is driving the bus, the breakout can only work in the latter mode. 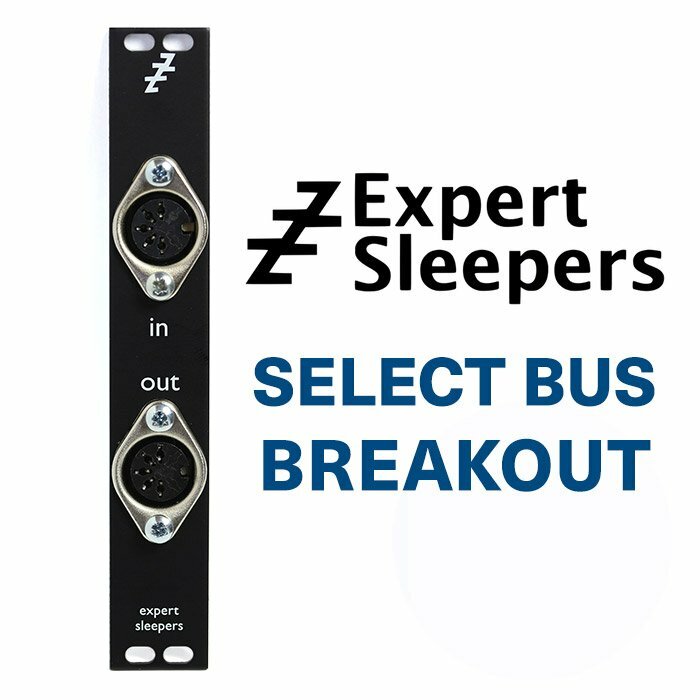 If the breakout is driving the bus, its output is effectively a MIDI Thru.